What stages make up the life cycle of a cell? Read this cell cycle concept map to find out. With an attractive visual format, it’s the perfect study or teaching tool to enhance understanding. Gain editorial access to this and hundreds of other templates with a free Lucidchart account. 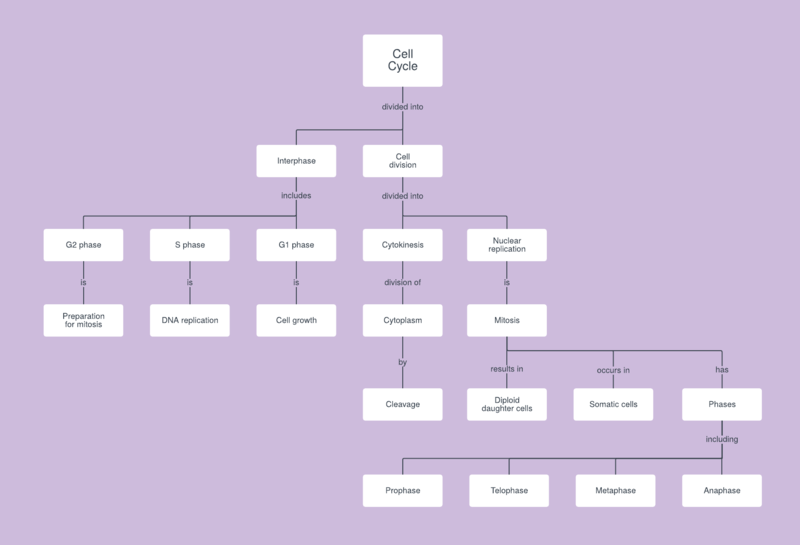 Just sign up with your email address to immediately open this cell cycle concept map template.